Yesterday was Sunday and many of us use this day to honor God – visiting places of worship and spending that little extra time in prayer, if we’re believers. Today, I would like that we ask ourselves how much time and effort we spent during the week honoring our selves. 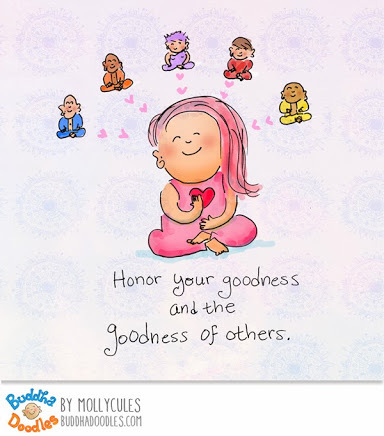 Yes, it’s important that we do that to – realize our own goodness and honor it. Too often we’re putting ourselves down – getting cross with ourselves for not meeting a deadline or not having the energy to do something we planned to. You have taken the time out to nourish your body with nutritious meals and exercise. Spent time doing something you really love. Not indulged in negative self-talk. You’ve said ‘no’ to anyone asking you to do something that either goes against your values or makes your feel less valuable. You’ve avoided the company of those who don’t respect you for who you are. I’m linking in to Stirrup Queen’s #MicroblogMondays today. love this! Sometimes you need to put your own needs first and look after yourself.